We notice that customers get confused the difference between raw milk, and fresh milk. So let’s see what’s what, and how they relate. Raw milk is what our organic farmers put in their tanks after milking the cows: the pure product as it left the cows body. Is it OK to drink raw milk? Some people think so, and actually do it. But raw milk isn’t suitable to package, ship and keep in your fridge for several days. First all, raw milks contains bacteria that can de harmful. And if the milk isn’t treated and cooled, those bacteria could multiply, and spoil the milk. So in order to guarantee the safety of the milk it needs to receive a couple of treatments. To take care of the harmful bacteria, we pasteurize the milk by mildly heating it, and then bringing back the temperature. This way all the goodness remains, while taking care of the bacteria. Do not confuse this process with double pasteurization or UHT (Ultra Heat treatment), which alters the taste of the product. While consumers in Europe, Australia and North America are used to drink single pasteurized milk, it needs to be refrigerated, and it’s shelf life is not very long. 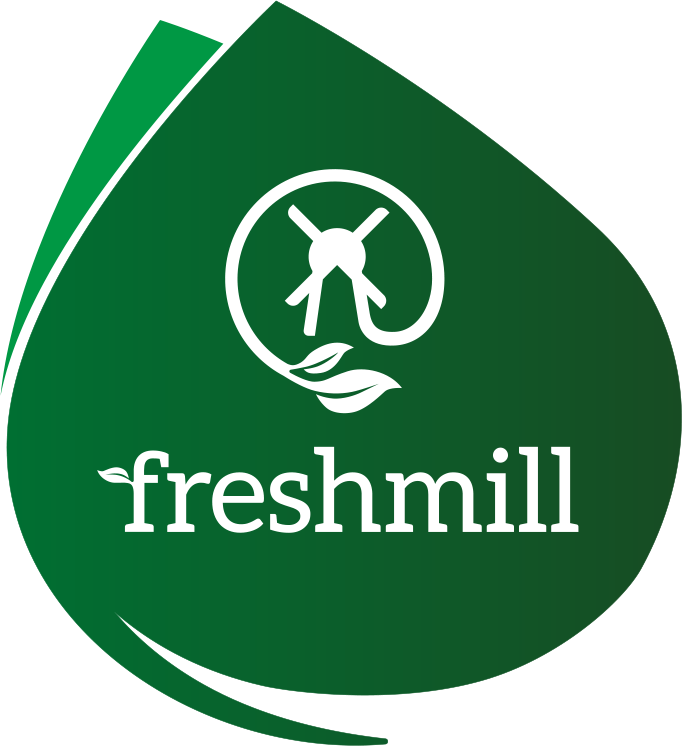 In order to increase shelf life, and making it feasible to ship milk all over the globe, Freshmill has developed a revolutionary proprietary filtration process. This physically removes any potentially harmful particles from the milk, while retaining taste and goodness. There’s one other thing you would notice if you would compare raw milk with Freshmill whole milk. A fatty substance will appear on top of the milk, as the fat material that is naturally present in milk separates. In order to prevent that from happening the milk is homogenized. Basically, it’s given a good stir through so the fat is mixed evenly through the milk. That way you experience the same richt texture from the first sip until the last.